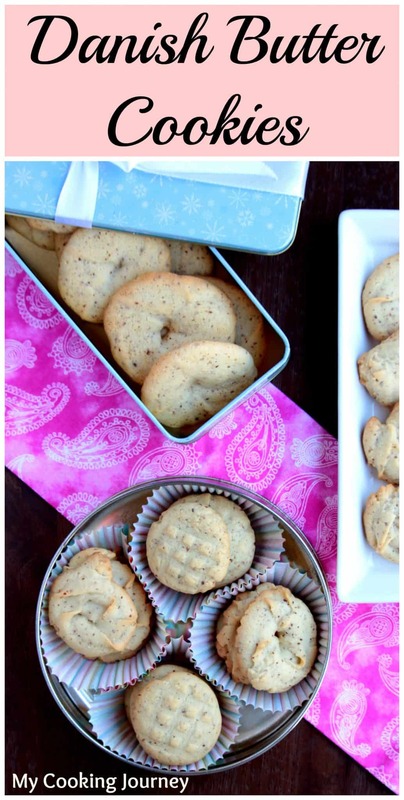 Danish Butter Cookies, just the name reminds me of the soft, melt in the mouth cookies. My first taste of the Danish cookies was the Royal Dansk Butter Cookies in the blue box. I would always crave for them when passing through the cookie aisles, especially during the holiday season. One holiday season, I caved in and bought the huge gigantic tin of cookies. I ate so much of them that I had to stop thinking about them for a while. 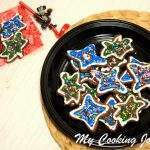 These cookies are my boys favorite as well. My little one especially who likes his desserts to be on the mildly sweet side, likes the Danish cookies. 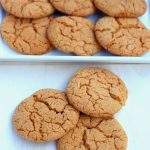 When it was time to bake the Danish Butter Cookies for the alphabet D, I started off with the thought that it is a simple cookie and what can go wrong in it. 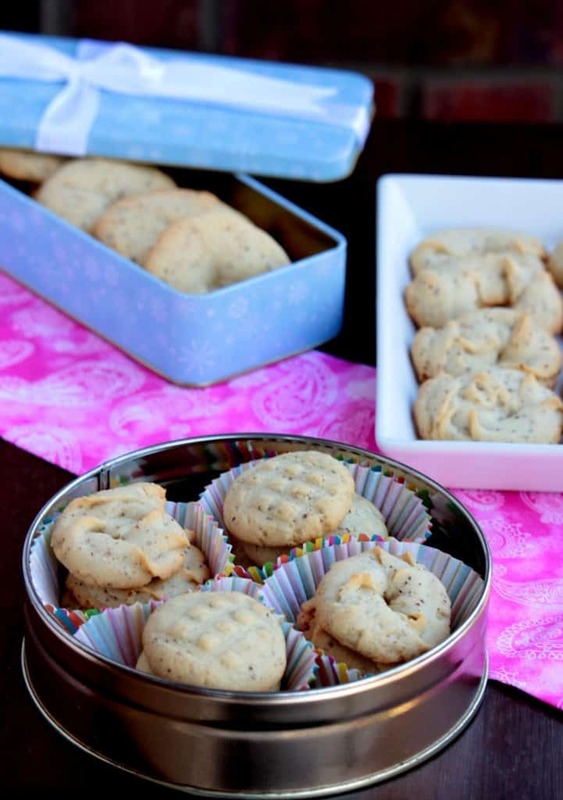 All butter cookies have the basic ingredients such as the butter, sugar, flour and vanilla. 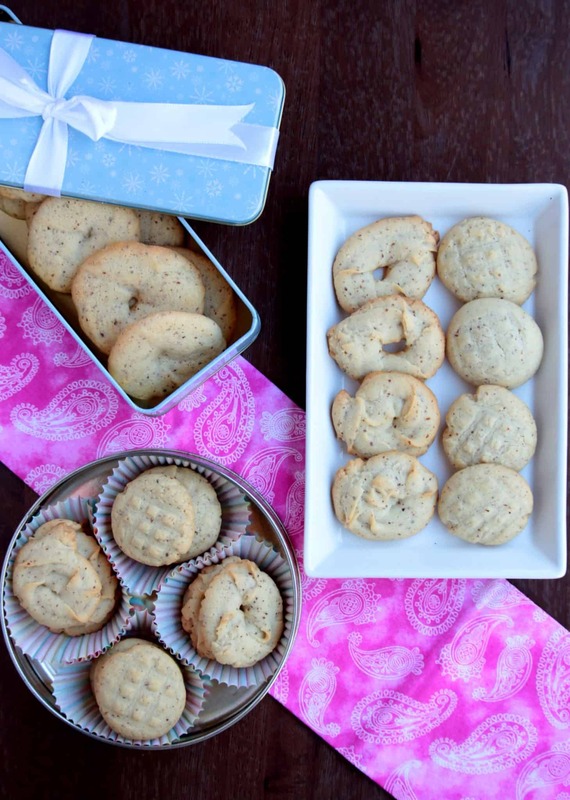 So, what made the Danish Butter Cookies different from the rest of the cookies? 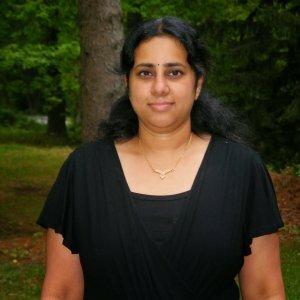 That is when I started experimenting with different ingredients and researching on the need of the ingredients that were listed on different recipes. 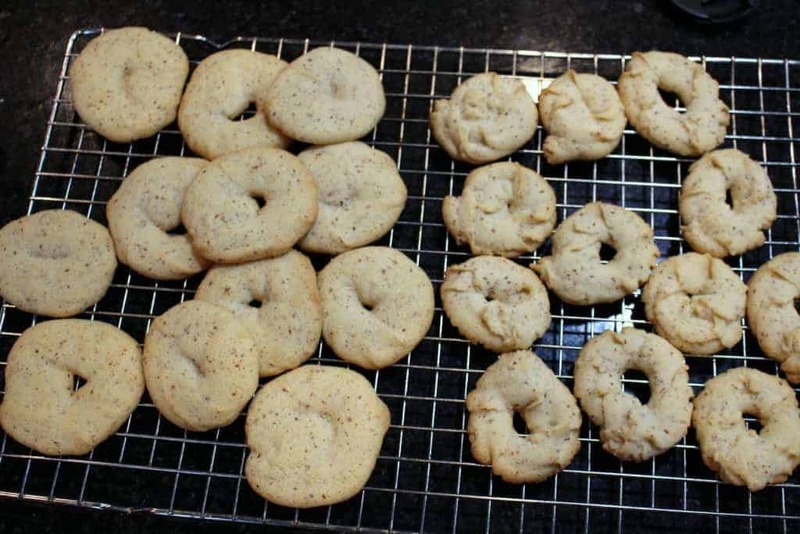 I wanted to make the piped version of the cookies and made my first batch with the recipe I had come up with. The cookies tasted great, had the most wonderful melt in the mouth texture, but they spread out quite a bit when baking. There were no swirls when the cookies came out. So i tweaked the quantity of the flour and it worked like a charm. The difficulty I faced at this point was squeezing out the swirls. The cookie dough is on the stiff side and it was a task to squeeze them out. I still squeezed out a batch of the cookies and the last batch I decided were going to be rolled out into balls and baked. 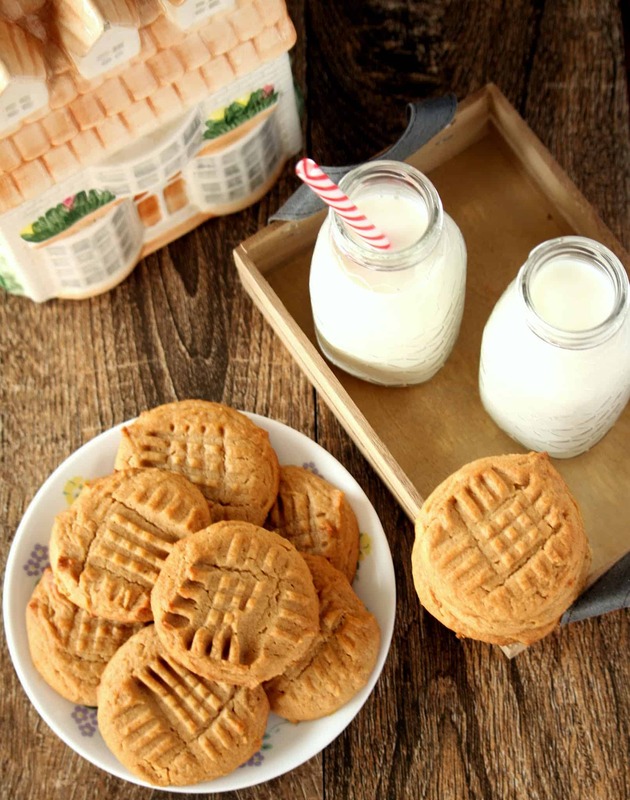 There was absolutely no compromise on the flavors and the cookies had the same pale color and texture to it. The Royal Dansk Danish Cookies has some coconut in it, but I decided to use almond flour instead. When I was thinking of melt in the mouth texture, the first thought that came to me was the French Macaroons. I had made them some years back and they came out absolutely marvelous on my first try. That was the first time I had ever worked with almond flour and cream of tartar. I fell in love with the almond flour/meal since then and use them quite often. 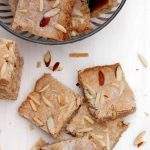 In fact my first recipe for this marathon was the Almond cookies made with almond meal. 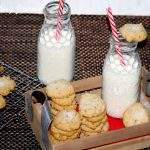 I also used the cream of tartar in this recipe along with baking soda to enable the acid-base reaction which would result in the airy texture of the cookies. If you don’t have cream of tartar, then skip both the baking soda and the cream of tartar and use about 1/2 tsp of Baking powder. Preheat the oven to 350 F. Line a baking sheet with parchment and keep it ready. Cream together the butter and the sugar until it is pale and very creamy. 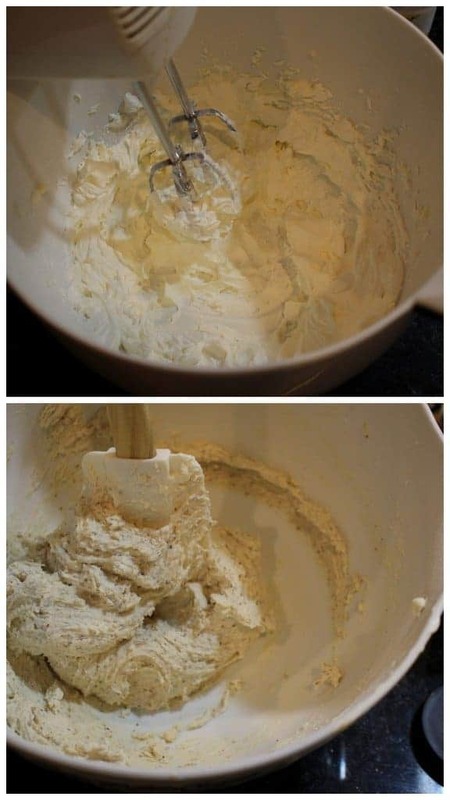 Add the baking soda, cream of tartar, egg and vanilla and beat again until well combined. Add the almond flour and the all purpose flour in batches and beat well after each addition. The cookie dough will be pretty stiff. The consistency of the cookie dough will be such that they can be rolled easily to be shaped as balls to bake the cookies. 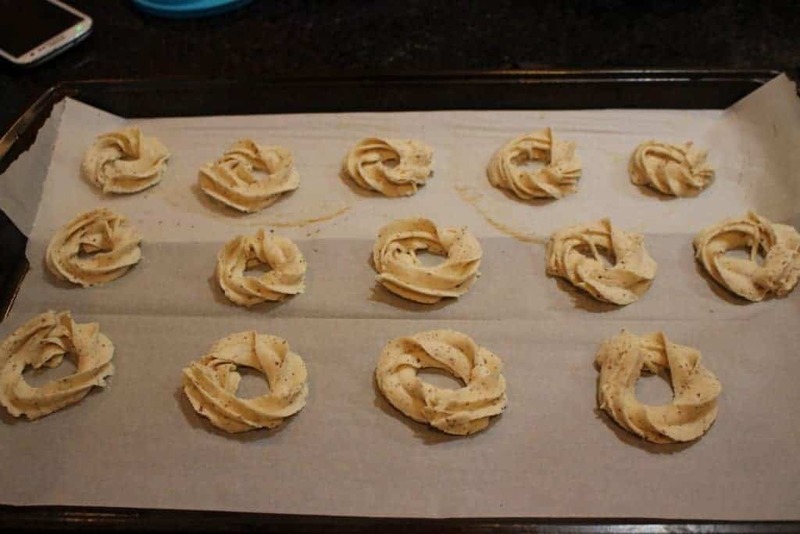 I used a disposable pastry bag attached with a large star nozzle to pipe out the swirls with the cookies. I started out with 1 cup of flour to make the dough earlier and it was very easy to pipe out. But these cookies spread out quite a bit when baking and that is when I realized that we needed a little extra flour. I added the extra flour, and squeezed out the spirals. It was quite hard to squeeze out, but they made very pretty shape. The next batch, I decided not to pipe the dough as my palms were hurting and hence just rolled out small balls of dough and made a simple indentation with fork on top. Bake the cookies for about 10 to 12 minutes or just until the edges start to brown. Cool entirely on a cooling rack and the store in an airtight container. I am a huge admirer of the Danish cookies too. Yours look so divine and lip smacking! Amazing that you went into so many iterations to get it right. I have to bake these at the earliest! 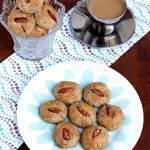 Oh my those cookies are looking so fabulous Sandhya!…love those shapes..and so nicely done…I still remember so buttery those Danish biscuits we got from there..yum! These buttery cookies were the first cookies I tasted after landing in the USA 17 years ago. I remember the blue box which you mentioned as well 🙂 Fantastic replication of those Danish Cookies. Thanks for refreshing my memory ! 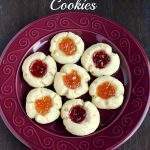 Your Danish cookies look great Sandhya. They look like they’ll melt in the mouth. 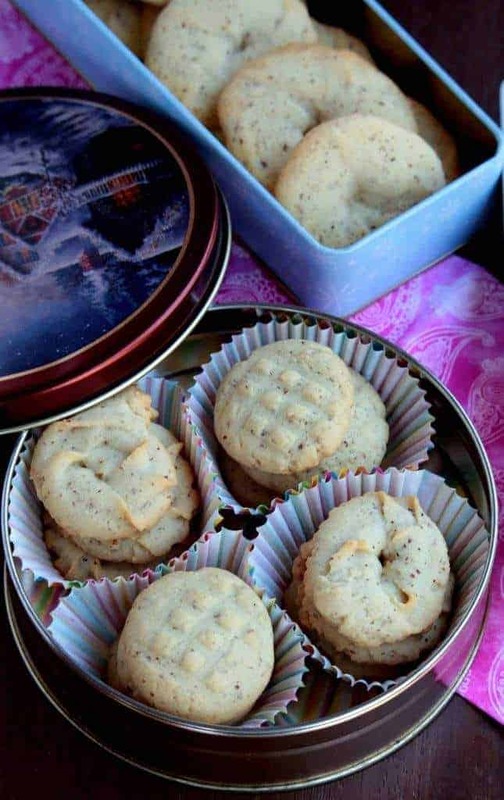 Wow, danish butter cookies looks absolutely divine, just love this melt in mouth cookies. Send me some please. I haven’t had Danish butter cookies in ages. This recipe is making me want some as soon as possible! These cookies look exactly like the ones you get out of the tin at Christmas time. 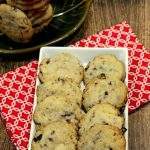 If they takes ANYTHING like those, you have hit the jackpot with this recipe!! 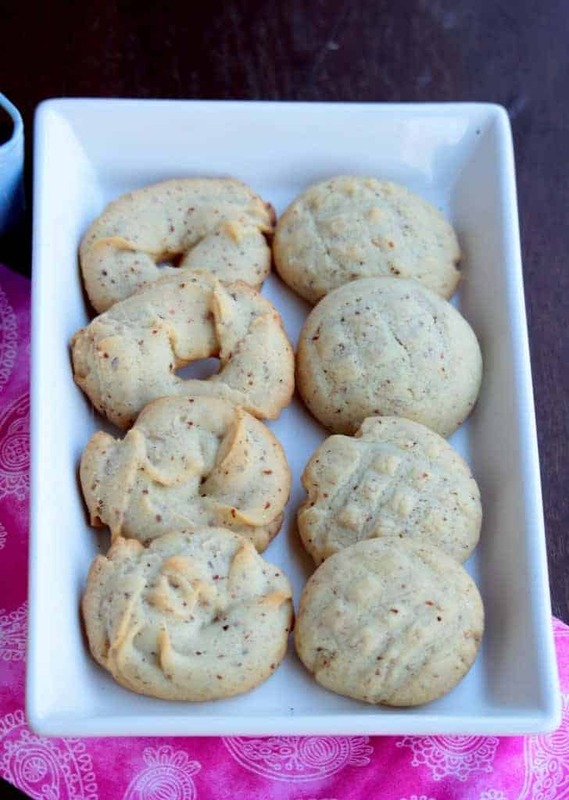 These cookies look exactly like the ones you get out of the tin at Christmas time. 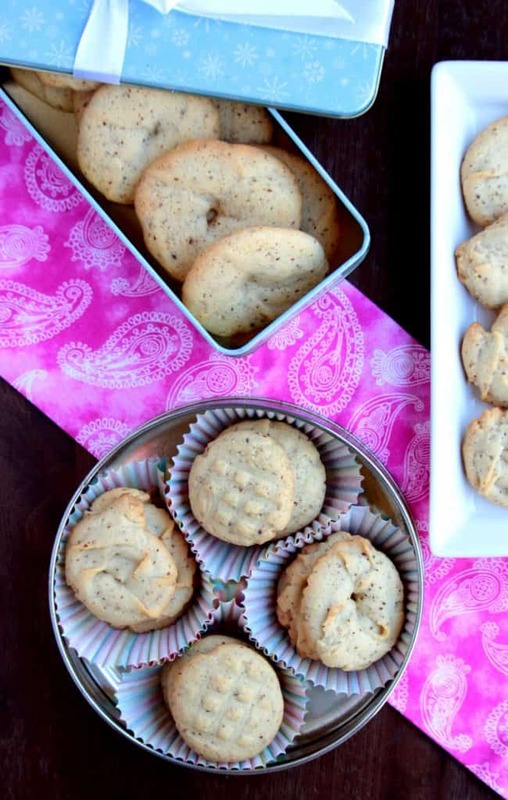 If they taste ANYTHING like those, you have hit the jackpot with this recipe!! Wonderful share on your blog!! These cookies look mouth-watering! I might need to make some of these for my friend’s birthday. Lovely idea to make homemade butter cookies. I remember these form my childhood but were bought and in my family were kept as a special treat. I wish I can try one of your cookies now. Love some good Danish cookies..!! I use to buy the store bought all the time until I started making them at home. You recipe sounds so simple and easy. Think I’ll try it soon. What delicate looking cookies. They do look like they would melt in your mouth. 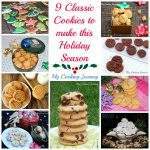 I never purchase store bought cookies – they just don’t have the taste of a bakery’s or homemade. Your cookies look amazing. I’ve already pinned the recipe. love butter cookies! I also love that the ingredient list is simple. I’m sure the almond flour added a unique flavor! 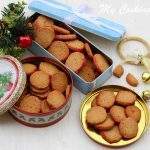 I love Christmas time when the big blue tins of these cookies are passed to friends as gifts. I like being the friend they’re passed to. I never considered making my own – how silly is that? Now I can have them any time of year! You have an awesome job of swirling. I can imagine how hard it would have been. Love both the shapes as you said when there is no compromise in taste, why to bother about the shape. Great Share. Same pinch, I too bake them for the letter. Yours looks amazing and love the pictures too. Best ever cookies i ever tried. My kids love it.